Cottoning on to the growing ruckus surrounding the so-called Boomerang Generation, the New York Times recently ran an article covering the issue of an “emerging adulthood.” The editorial specifically focused on the rising number of twentysomethings for whom the traditional model of career/partner/house no longer applies. The New York Times article suggests that younglings are increasingly resistant to the process of growing up, and how right they are; I’m currently looking down the gun barrel of post-university life myself I can personally report that it aint too pretty. The notion that this is an overnight phenomenon, however, seems a little odd. Especially when we can look to that most hallowed chronicler of pop culture, cinema, for documented evidence of the birthing of the Boomerang Generation. In 1994, Ben Stiller directed a certain Generation X hit called Reality Bites. Tonally the film feels quietly cynical: budding filmmaker Lelaina’s (Winona Ryder) own documentary of post-university apathy is converted into targeted MTV candy, almost twenty years on this idea of society papering over social cracks with credit cards and BMWs still feels largely relevant today. The realisation of the young and idealistic characters that the world doesn’t lie at their feet isn’t exactly new ground, or even isolated to student lifestyle, but Lelaina’s process of recording her own inertia to try and authentically speak for her generation is exactly what the successful graduate filmmakers of the Boomerang Generation seem to be doing two decades down the line. 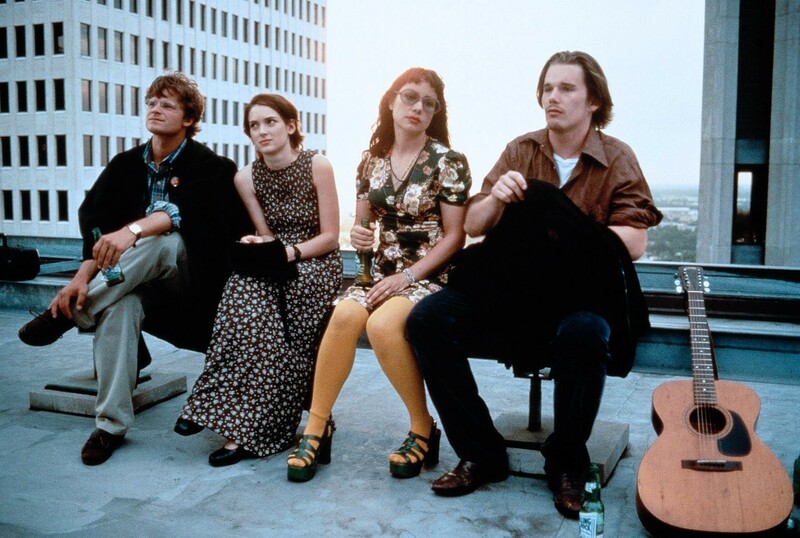 Reality Bites was a fictional film with an autobiographical twist whereas the Mumblecore movement tends to reverse these elements offering up autobiographical films with a dash of fiction for colour. The difference is that Mumblecore producers are a little cannier about it, a little bit commercial by way of American Apparel rather than MTV. It’s smart and it’s cynical, and it works, but it’s not new. Lena Dunham’s Tiny Furniture (2010) may have been a big hit on the festival circuit, offering a parallel fiction to Lena’s own life, through the character of directionless film studies graduate Aura, but at its core the plot has strong parallels to Andrew Bujalski’s funny ha ha (2004), which in turn has strong parallels with Reality Bites. Tiny Furniture and funny ha ha stand apart from that Generation X precursor in that they were essentially the products of aspiring filmmakers who tried to break into the business by reporting their own inability to find a career. Tiny Furniture in particular, through its use of digital recording, epitomises the current notion that filmmaking is easier than it’s ever been; a viewpoint espoused by everyone from Chris Jones, author of The Guerilla Film Makers Handbook (2000), to Made in Dagenham (2010) director Nigel Cole. In her article for the NY Times, Robin Henig asks “is emerging adulthood a rich and varied period for self-discovery, as [Jeffrey Jensen Arnett] says it is? Or is it just another term for self-indulgence?” Looking at the likes of Pineapple Express (2008), it’s sometimes hard to argue against the latter. Seth Rogen particularly relies on the vogue for improvisation embodied in the Mumblecore movement to…flesh out his slacker figures most of whom are all variations on the same theme: Seth Rogen. The overruling idea of the man-child figure caught between childhood and maturity perhaps found its greatest expression last year in Scott Pilgrim vs. The World (2010). It is thus telling that the film’s reception is strongly divided between teens and twenty-somethings who on the whole loved it, and the established critical body who by and large rallied against it as the visual vomit of a video game geek (I loved it). Nevertheless, the idea that someone like Scott is a figure to be celebrated is somewhat disquieting. This may just be the old man in me hypocritically blathering on, but either way, the point remains that in both independent and mainstream cinema, the evolution of this supposedly new, halfway house between teenager and adult has been apparent for a good few years. The plus side is that it’s resulted in some slightly more idiosyncratic cinema. The bad thing? The next generation aren’t going to take responsibility for anything more than burning their morning toast. But isn’t that how it should be? This entry was posted in Movie Musings. Bookmark the permalink.